Saaidia Marina resort is located just a few minutes’ drive from the old town of Saidia, which has been an extremely popular tourist destination for over 50 years. 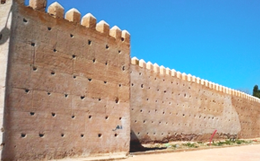 The old town of Saidia offers a different dimension from the modern Marina resort, as the old town has a traditional Moroccan atmosphere and the history to go with it. The old town is alive 24/7 during the hustle and bustle of thesummer months. Street restaurants and cafes are full and the beach is a hive of activity from morning to night. 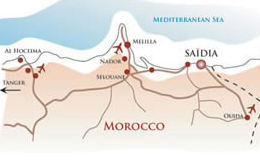 The resort is just 30 minutes drive from the new Oujda International Airport, and 1 hour and 15 minutes drive from both Nador and Melilla Airports. There are 2 local ferry terminals, 1 in Nador and one in the Spanish Enclave of Melilla. Conception et réalisation : / Mit-Consulting.